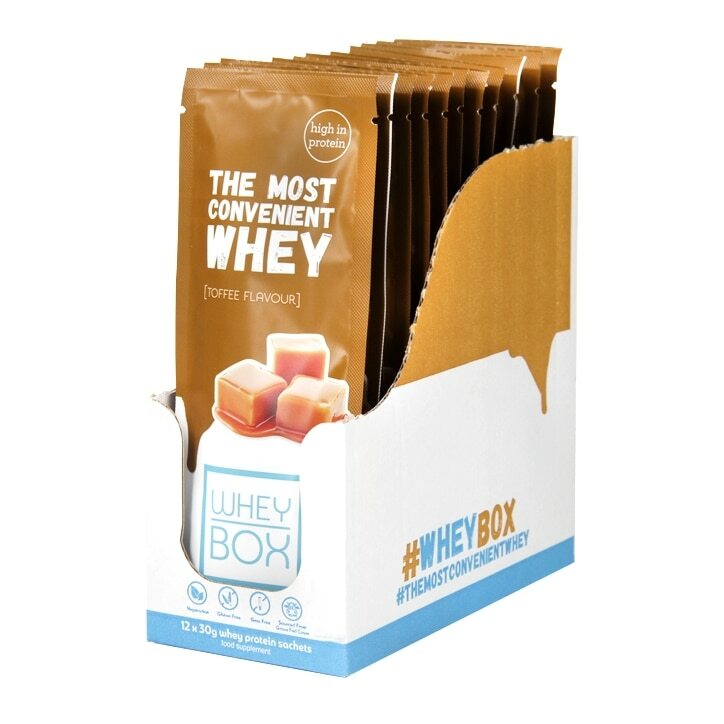 Whey Box Toffee is rated 3.0 out of 5 by 2. Rated 5 out of 5 by Jadams from Amazing taste! I picked up a couple of Whey Box sachets from a store in London. The nicest tasting protein I have ever had. I had the toffee sachet in porridge and it was heaven! I had a coconut sachet in a smoothie and that was amazing too!